Easter Bunny’s blowout: What’s the markup on your favourite Easter chocolate? 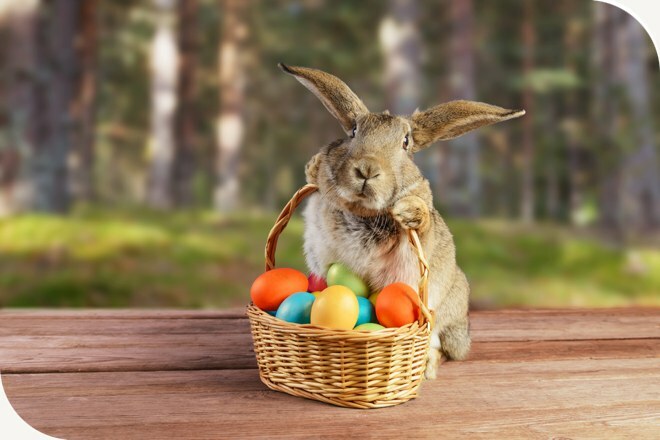 Your favourite Easter treats might stretch your wallet just as much as your belt this year, with Mozo research revealing Aussies could be spending four times as much on their Easter chocolate as they might on a regular block of chocolate, thanks to markups as high as 320%. 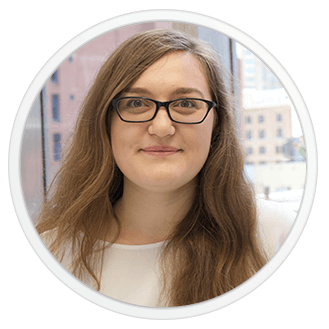 Mozo crunched the numbers on popular chocolate brands Cadbury, Lindt and Haigh’s, comparing the cost of novelty Easter chocolates to the price of a regular block of chocolate per 100 grams. Gift sets were the major markup culprits, with an average price tag more than double that of a regular block of chocolate. Chocolate bunnies and hollow eggs also saw a large average markup of around 150%. 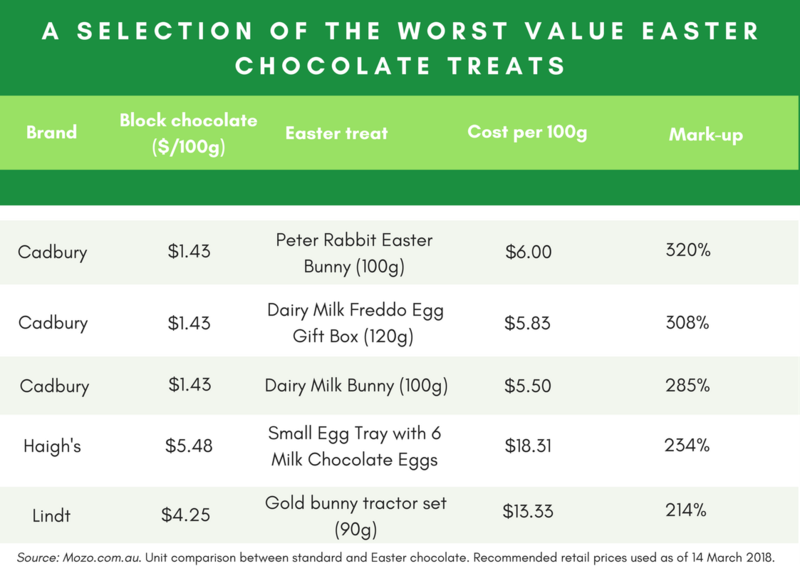 The trendy Cadbury Peter Rabbit Easter Bunny was at the top of the list for price hikes, coming in with a whopping 320% markup when compared to a classic Cadbury Milk Chocolate block. In dollar terms, that translates to paying $6 per 100 grams of chocolatey goodness. The Cadbury Freddo Egg Gift Box was not far behind, with a markup of 308%. Haigh’s small egg tray was the next biggest markup at 234%, followed by a 214% markup on the Lindt Bunny Tractor. The Haigh’s small egg tray also came in with the highest price point per 100 grams, at $18.31. On the other end of the scale, mini eggs were the most budget friendly treat this Easter, with an average markup of just 27%. 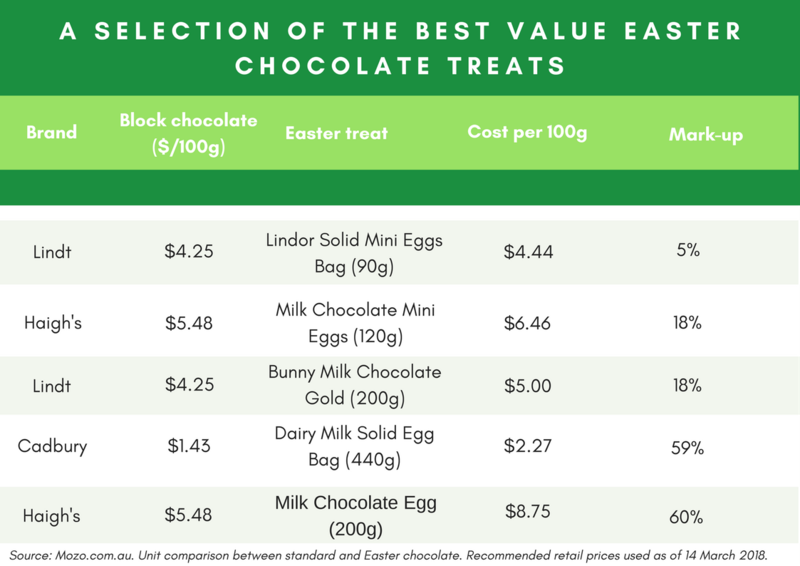 Lindt’s assorted mini eggs came out at the best value, with a markup of just 5%, priced at $4.44 per 100 grams, while Haigh’s mini eggs also had a relatively low markup of 18%. The good news is Aussie favourites, the Lindt Gold Bunny and Haigh’s Chocolate Bilby were also on the more affordable side, with a markup of just 18% and 49% respectively. 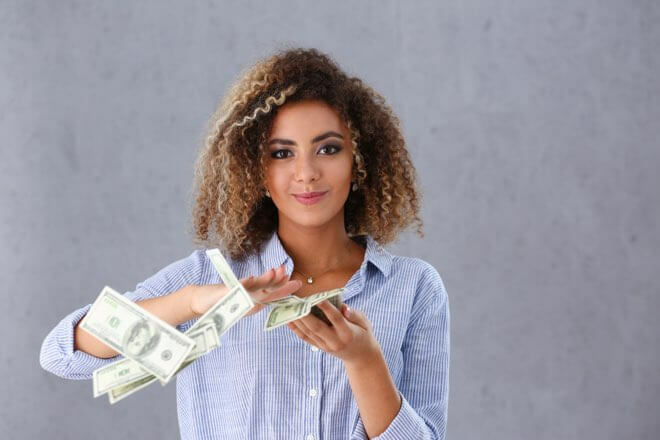 “Most shoppers expect to pay a little more for a beautifully packaged Easter gift, but it’s important to weigh up the price and ask yourself if you’re really getting enough bang for your buck,” said Mozo Director Kirsty Lamont. Our research shows the average Aussie spends around $224 on chocolate each year - how much of your budget are you planning to blow over the Easter weekend? Note: Comparison uses unit prices i.e. cost per 100g of product. Weight is given to identify the product. The comparison was based on product availability at Woolworths, Coles and Haigh’s online stores. Mozo used recommended retail prices as at 14 March 2018.